Sometimes, reading makes my eyes hurt. Those cases are usually because the writing I'm reading should have made the author's eyes hurt. 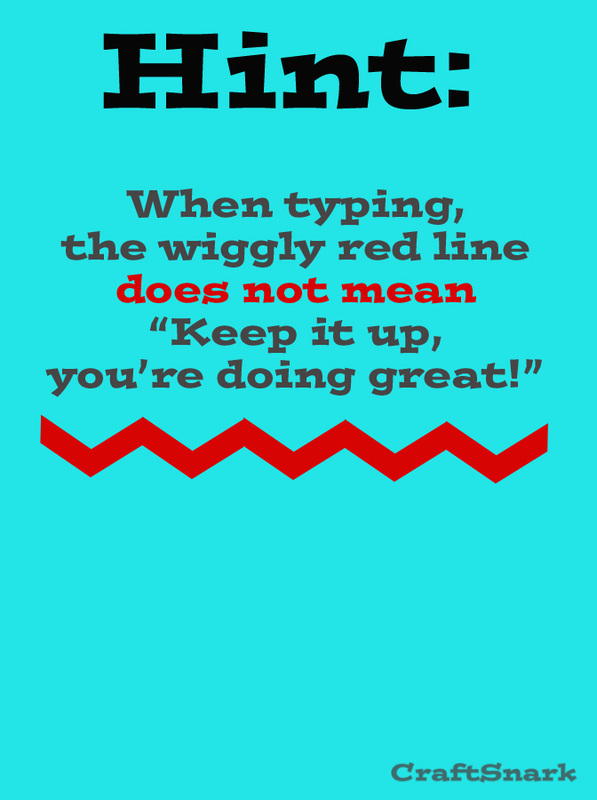 The little wiggly red line under words is not a compliment. It is a clue. A clue telling you that your spelling is probably wrong. Maybe even very wrong. Sure, every now and then you select a word that is beyond the capabilities of Microsoft's built-in spell check software. But if you're finding that every other word has a colorful accessory floating beneath it, odds are that the problem is you.